Kinedu was recently named one of the Early Childhood Innovation Prize’s “Promising Ideas” because of its potential to create a breakthrough impact for young children. As one of seven Promising Ideas selected from a pull of over a 570 ideas submitted from innovators in 100 countries through OpenIDEO’s prize platform, Kinedu has received special recognition from Gary Community Investments (GCI) and will have access to supports to help accelerate their impact on children across the world. Gary Community Investments (GCI) partnered with OpenIDEO on the Early Childhood Innovation Prize to build a pipeline of potentially transformative early childhood investment opportunities. The prize was launched in fall 2017 and brought together hundreds of innovators and experts to collaboratively solve one urgent question: “How might we maximize every child’s potential during their first three years of life?”. At the close of the EC Prize’s submission phase on February 15, innovators from more than 100 countries submitted nearly 570 ideas, and more than 260 innovators received mentorship, support and feedback from 135 experts in early childhood and other fields. Kinedu was recognized as one of the promising ideas to look out for, and will receive mentorship, help and access to a network of experts, investors and mentors. To continue the momentum generated by the Prize, Gary Community Investments and OpenIDEO have invited Kinedu to join an early childhood innovation network that will accelerate our idea through access to mentors, experts and investors, and facilitate continued collaboration to solve early childhood challenges. About Kinedu: Kinedu is an Ed-tech company focused on improving early childhood development of a generation through breakthrough technology and content. Kinedu helps parents understand early childhood development, provides insights on their babies’ development, and suggests them with developmentally adequate and science-based activities that encourage their children’s development through meaningful play. Since launch, Kinedu has been used by hundreds of thousands of families across the world. About Open Ideo: OpenIDEO is IDEO’s open innovation practice that enables people to collaborate and design solutions to the world’s toughest challenges, and work with partners around the world to bring these solutions to life. Both online and offline, OpenIDEO empowers innovators to use design-thinking to generate social impact. About Gary Community Investments: Gary Community Investments invests in for-profit and philanthropic solutions for Colorado’s low-income children and their families. GCI believes that business and philanthropy can—and should—work together to create opportunities for those who need it the most. 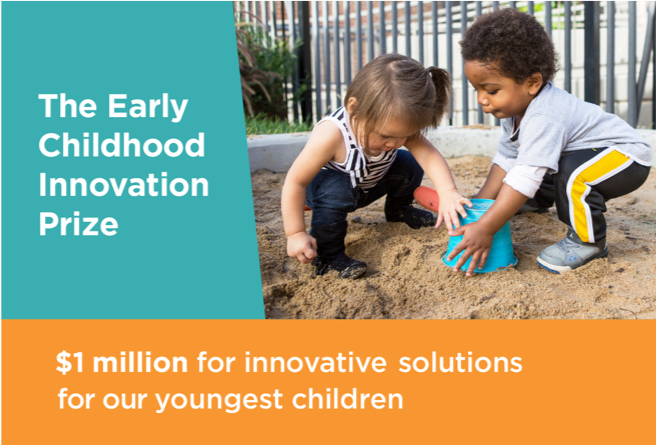 The Prize is part of GCI’s multimillion-dollar commitment to accelerate innovation in the early childhood sector by supporting, testing and funding the best ideas for creating positive change for young children. Learn more about the Prize and our submission by visiting Gary Community Investments’ website.